EAST WILLIAMSBURG — The Danish brewer behind one of the world's top craft beer makers is planning a pit stop in East Williamsburg next month. Mikkel Borg Bjergsø, who's been called one of the top five brewers in the world, will take over 10 taps at the barbecue joint Arrogant Swine when he visits in September, said restaurant owner Tyson Ho. Bjergsø, who only uses other breweries' facilities for his recipes, will be in town to whip up some suds at Threes Brewing in Gowanus. The visit to Arrogant Swine on September 2 will be the only official public appearance Bjergsø makes while in town, an occurrence that hasn't happened in New York in a few years, said Ho, who was chosen by his distributor to host the brewer. "If you’re a beer geek, and you like to meet big-name guys, he’s the guy," Ho said. Known around the world for beers infused with unusual ingredients like sichuan peppercorns or coffee made from dung, Bjergsø also has a local connection. 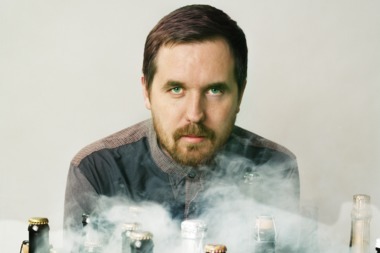 His identical twin brother, Jeppe Jarnit-Bjergsø, owns popular Greenpoint craft beer bar Tørst and has his own brand of beer, Evil Twin. A Times magazine piece from last spring documented the rocky relationship between the two siblings, who apparently have been feuding for years. Some craft beer enthusiasts believe the beef was manufactured — including Ho, who joked that maybe Jeppe would show up to the event. "The Times got trolled so hard," Ho said, shaking his head. Bjergsø, a former high school chemistry teacher, will mostly be hanging out and chatting at the bar, Ho said. The event will be free, and most beers will cost around $7. Arrogant Swine is located at 173 Morgan Ave.